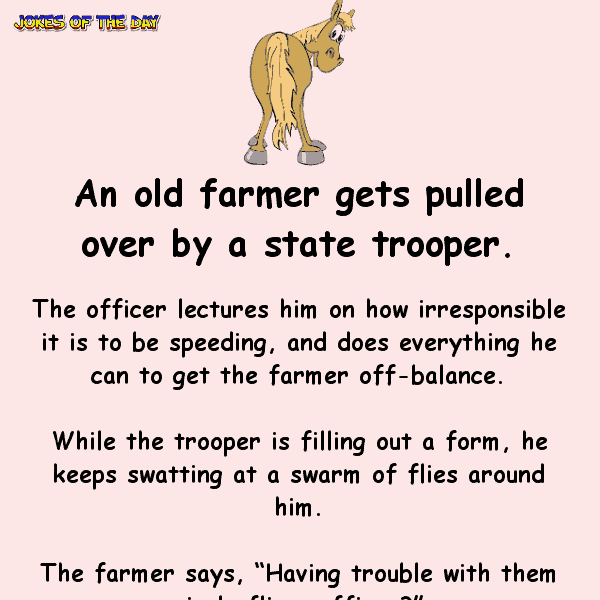 An old farmer gets pulled over by a state trooper. The officer lectures him on how irresponsible it is to be speeding, and does everything he can to get the farmer off-balance. While the trooper is filling out a form, he keeps swatting at a swarm of flies around him. “Ah, I see,” the trooper replies absentmindedly.